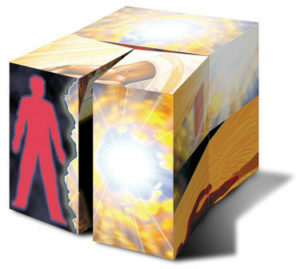 The EvangeCube is a 7cm cube explaining the Gospel of Christ in 7 picture panels. It is highly effective as it transcends language barriers. The cube is used in all areas of evangelism such as outreaches, teaching and counselling. 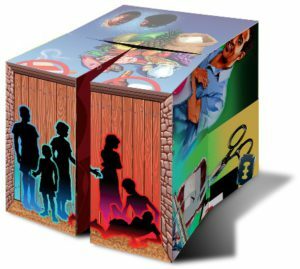 The HIV/AIDS Cube, also known as the HIV Hope Cube, is also a 7 panel cube explaining the facts on HIV and AIDS, using pictures. It is a very effective conversation tool guiding the user to speak about HIV in a structured way whilst breaking down stigma. 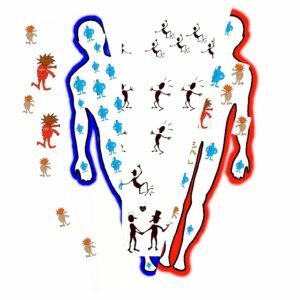 The HIV iPosters are a set of 7 panels explaining immunity and the different phases of HIV to AIDS. It is an effective way to explain difficult terms or terms which are critical to a person’s adherence to ARV’s and treatment of opportunistic infections. We use a variety of resources from partner organisations. Resources are selected based on various circumstances and contexts and it’s effectiveness for the purpose it was selected. The content of resources are carefully evaluated against God’s Word and must not lead new or established Christians astray.